The need to change the automatic transmission fluid in your vehicle at intervals is often overlooked, especially in regions like the UK where automatic transmissions are far less prevalent than, say, the US. Most people are aware that their engine oil needs changing on a regular basis. When it comes to the transmission, however, they may leave the fluid unchanged until things start going wrong. In other words: until it's too late. In truth, there are many issues an automatic transmission can suffer that no amount of oil changes will prevent. But given the cost of repairing (or worse, replacing) an automatic transmission, it's not worth risking the issues an oil change can prevent. Now, before we get into the when, let's look at the why. It's tempting to just let it slide, but stay strong. Get that transmission serviced. Automatic transmissions are very complicated beasts. A manual transmission is basic by comparison, and most of the things that go wrong with them are down to driver error, or at least exacerbated by the driver. With an automatic gearbox, however, you shouldn't even be able to drive it "incorrectly," for the most part. Maybe if you tried really hard. There is far more going on inside an automatic, and that means far more that can go wrong, no matter how you drive. And your transmission fluid is central to all of it. The oil in your automatic gearbox is not merely a lubricant to keep those moving parts moving. It is also responsible for powering the internal hydraulics of the transmission, and keeping the whole thing cool. In short, it goes everywhere. 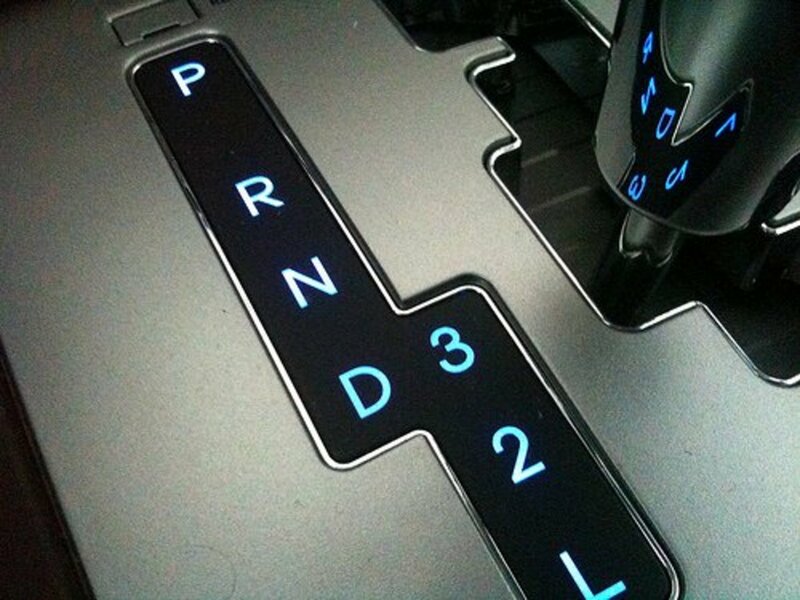 The magic of an automatic transmission is mostly done via hydraulics. There is much more to hydraulics than I'll be going to go into here. In short, pressurised fluid moves components within the gearbox. 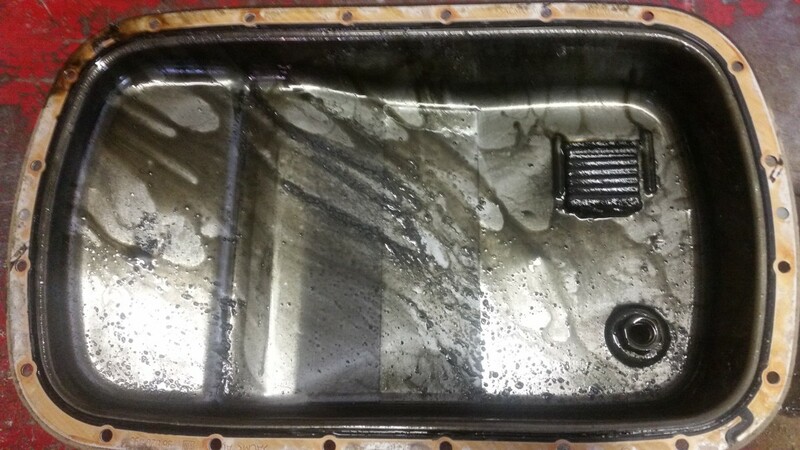 This is achieved by directing said fluid through a number of small channels within the gearbox. During circulation, your fluid may pass through gauze filters, metering valves, and any number of small orifices. Not to mention several larger components such as torque converters and transmission fluid coolers. So why does this affect your automatic transmission fluid change interval? The unavoidable fact of a clutch is that it will wear down over time. And automatic transmissions have several clutches. The point of a clutch is to "slip." But slipping causes some of the material on those clutches to rub away. This debris has nowhere to go but into the fluid itself. There are also other sources of debris with the gearbox, such as bearings and moving components that wear down over time. Debris will get into your transmission fluid. That is an inevitable fact of how moving parts work. You may have already pieced the two significant details together here. Debris-filled fluid being forced through small channels, orifices, and filters is a recipe for disaster. As the debris builds up, it will start to impede the operation of certain parts of the gearbox. This can manifest in sticking valves, causing a harsh or delayed gear change. It can cause completely stuck valves, resulting in the complete loss of one or more gears. The worst outcome from this debris, however, is a significant blockage of the transmission's main filter. The filter is there to prevent this very debris from recirculating through the transmission, but this also means that all of the fluid passes through it. If all of the fluid used to power the transmission passes through one point, which then becomes blocked... well, you get the idea. A blocked filter can cause a transmission to lose drive all at once on rare occasions. More likely, however, the debris will build up slowly. A partially blocked filter will only partially starve the transmission of fluid, and that is actually worse than completely starving it. 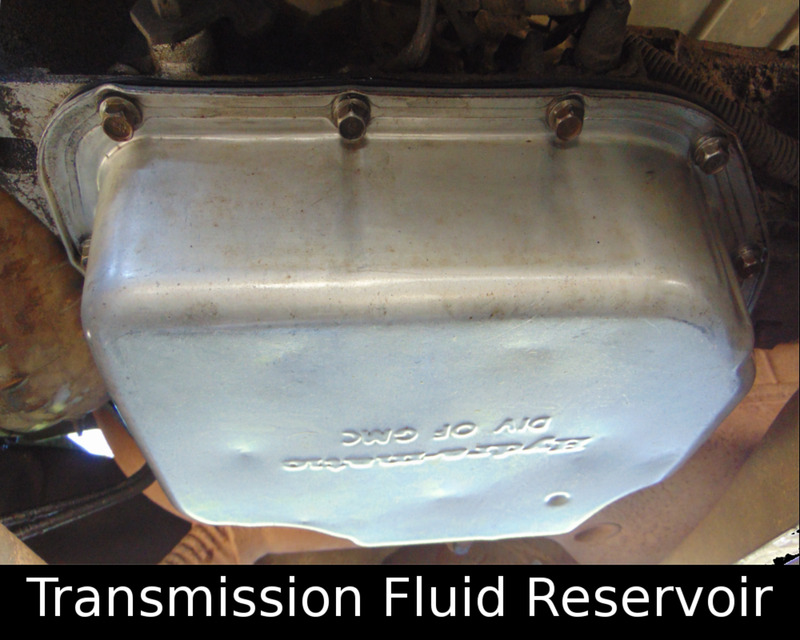 The fact that transmission fluid powers everything means that a transmission getting no fluid can't damage itself. 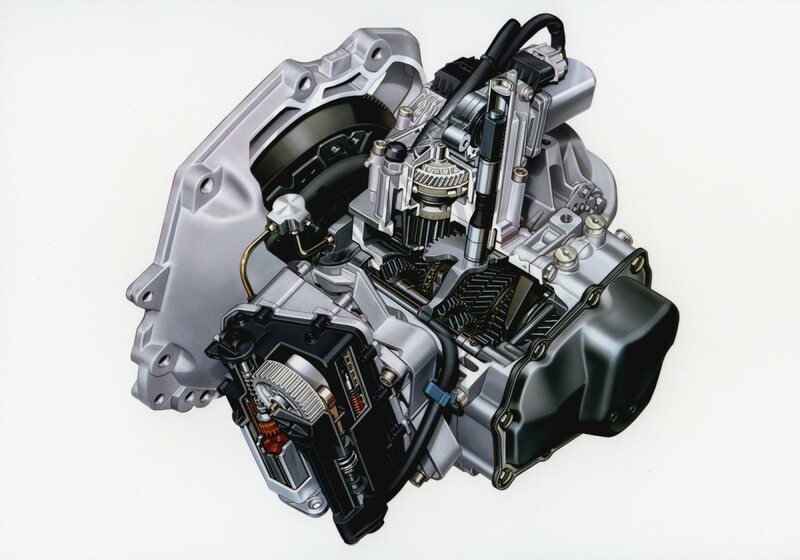 A transmission getting insufficient fluid may have enough power to apply the clutches, partially. If a clutch isn't applied properly, it will slip more than it should, causing more debris to get into the fluid. This causes the filter to become clogged more quickly, leading to a loss of drive. The difference here being that a sudden filter blockage may be repaired with an oil flush and a new filter. 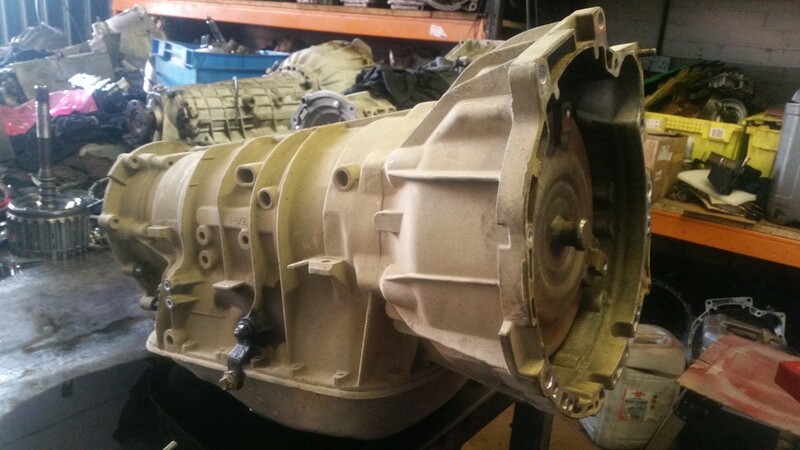 A loss of drive that has been coming on gradually will almost certainly require a complete transmission overhaul. An expensive proposition to say the least. What Is Your Automatic Transmission Fluid Change Interval? You've resisted the urge to skip the service, but when should you do it? Hopefully, the previous section has convinced you to adhere to your automatic transmission fluid change interval, but what is the interval? That's a little trickier. 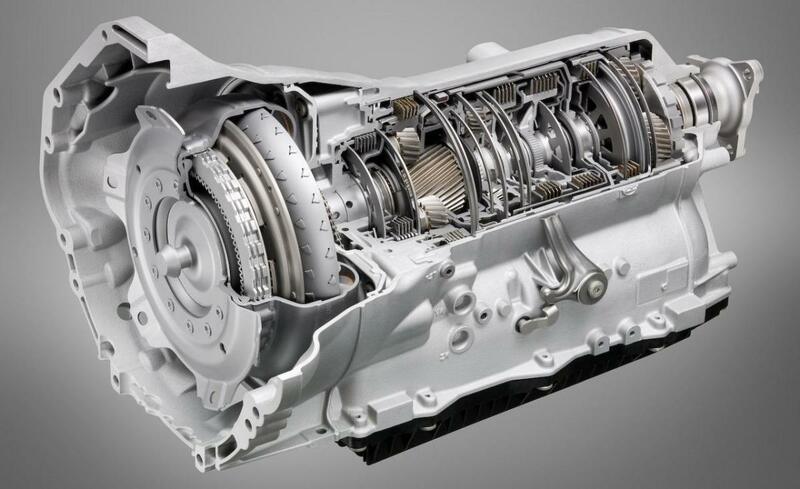 There are many, many, automatic transmissions out there, and they all have different service intervals. The first thing to bear in mind is that over-doing it with automatic gearbox oil changes is never a bad thing. You won't harm your transmission by changing the oil more often than the manufacturer recommends. The low end for an automatic transmission fluid change interval is around 30,000 miles (a little under 50,000 km). If you can't find the service interval for your particular transmission, you could do a lot worse than to just use this interval as your guide. Other typical service intervals are 60,000 miles (approx 96,000 km), and 100,000 miles (approx 160,000 km). 60,000 miles is not an unreasonable interval. 100,000 miles is pushing it, however. If your transmission's manufacturer claims their product is good for 100,000 miles between services, I'd take their recommendation with a grain of salt, which brings me to our next point. Some transmissions, particularly in BMWs, claim to be sealed units that carry "lifetime" oil. The claim means that a) you shouldn't be opening the transmission up, and b) it will never need a fluid change. Needless to say, you would be better off ignoring this claim. 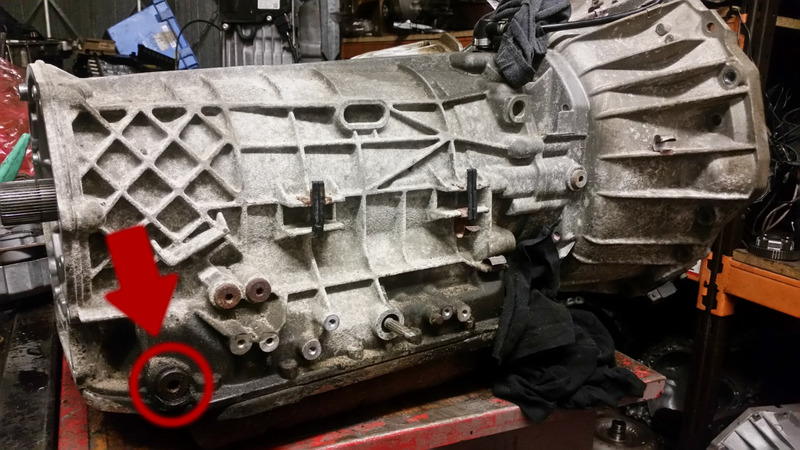 There is a strong chance that "lifetime" oil claims are technically accurate on the basis that the transmission will fail mechanically before the oil ever needs changing. The fact that your oil was still fine when your transmission imploded will be little comfort, however. As mentioned above, there really is no downside to changing your automatic transmission fluid more often than is recommended. Well, other than the cost of a transmission service. Mechanically, however, your transmission will thank you. The added bonus to changing your fluid regularly is that you (or your mechanic) can get a better idea of your transmission's health. For example, if your transmission fluid is black and smells burned, there is likely a problem internally. This is a very simple indicator of the health of your gearbox, but it can only be done if you get a sample of the oil. It also provides you or your mechanic with the opportunity to catch any fluid leaks from your transmission. Many of these leaks are very small and slow, and are easily missed because they don't leave puddles of transmission fluid on the garage floor. It's easy to check if the fluid is low on transmissions with a dipstick, of course. 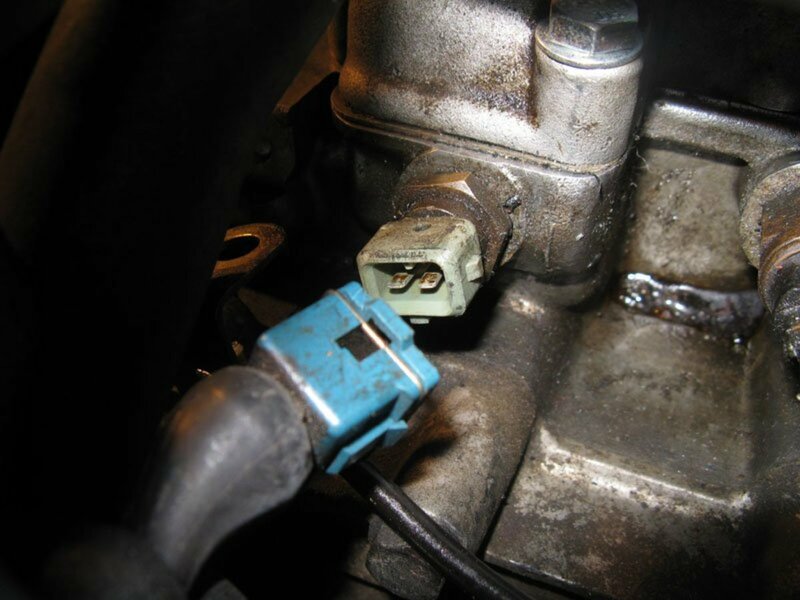 Transmissions without a dipstick will require you or your mechanic to be under the vehicle in order to change the oil so that a visual leak check can be performed. 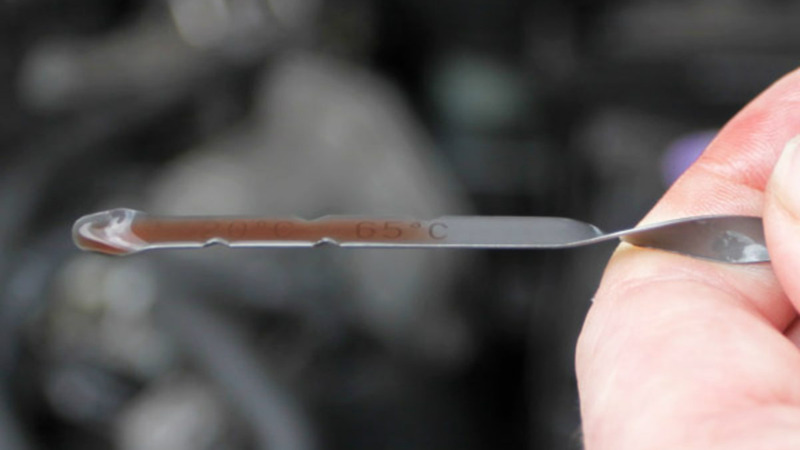 If your transmission has a dipstick (most modern transmissions don't), then it is certainly worth at least checking the level and condition of your transmission fluid at least as regularly as the engine oil. It never hurts to catch a transmission fault early. I have a automatic car,it keeps flashing up automatic gear fault wen i drive over 40mph,what does this mean?? I have a 2008 mazda3 2.0 with 22000 mileage, according to what company said i should change the transmission oil after 36000 miles. knowing that it is 10 years that my car is produced should i change the oil earlier? i mean can the passing of time cause the oil to lose its function? I have a small rent a car company and I want that my fleet be i good condition. Any advice what oil transmission change interval should I schedule? And for manual transmission is needed to change the oil ? thankyou for the information above. i change my camry auto box every 20000 miles. it has never had a filter change and has done 160000 miles to date. i have had the car 16 years. would you recommend that i have the filter changed in the gearbox? I have a 2012 mercedes with 40k miles ..it runs great. the dealership says it’s time to change transmission oil but my other mechanic said not to change it or it will create more problems... don’t know what to do? My toyota camry 2004 model gear refused to change it stays put, strong and immovable' what do i do pls ? It varies from box to box but as a rough guide it's good to change the oil on an auto every 30,000 miles. In a 2008 Astra, it might be worth at least checking the state of the oil as the transmissions coolers can be prone to leaking engine coolant into the transmission (which is very bad!). But be sure to have any work done by someone who knows what they're doing. Running an automatic low on oil will definitely cause it to fail. Expensively. I have a 2008 Astra 1.8 with 42000 miles.should l change auto box oil. Hello John Doe. 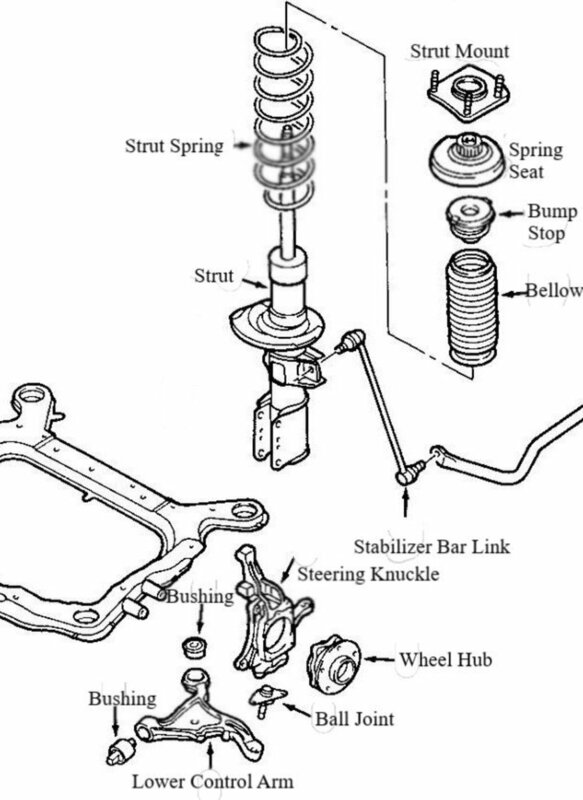 On that particular model, assuming it is the CVT transmission, there should be a dipstick that's tucked away down the front of the transmission. A little tricky to find. Using a funnel, put the oil in through that tube. 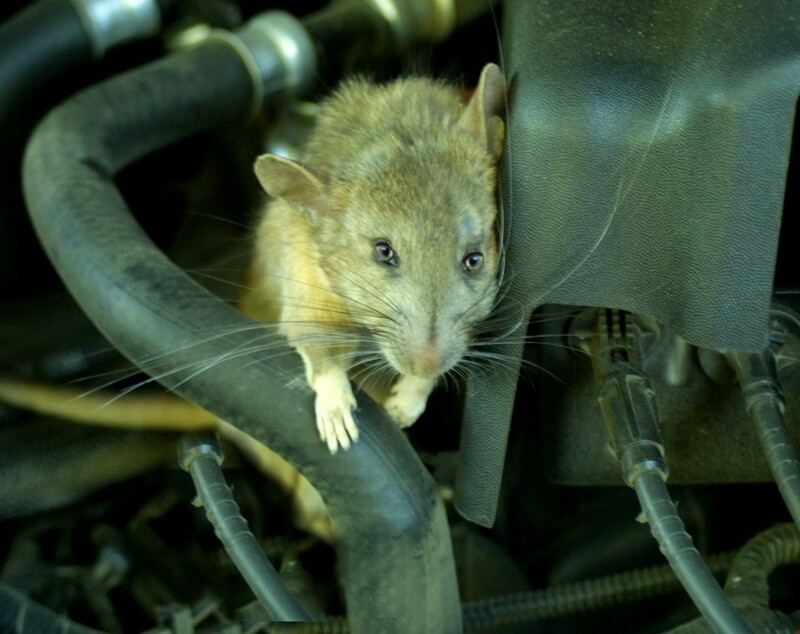 Be sure to check you have the right fluid though; CVT transmissions don't take regular ATF. I just bought a 2006 RHD Toyota Noah 7 Seater mini van. Where does the ATF fluid go?